As I begin to button up my sixteenth year of making a living behind the camera, the number of editorial assignments I’ve covered is so vast that it truly escapes me. 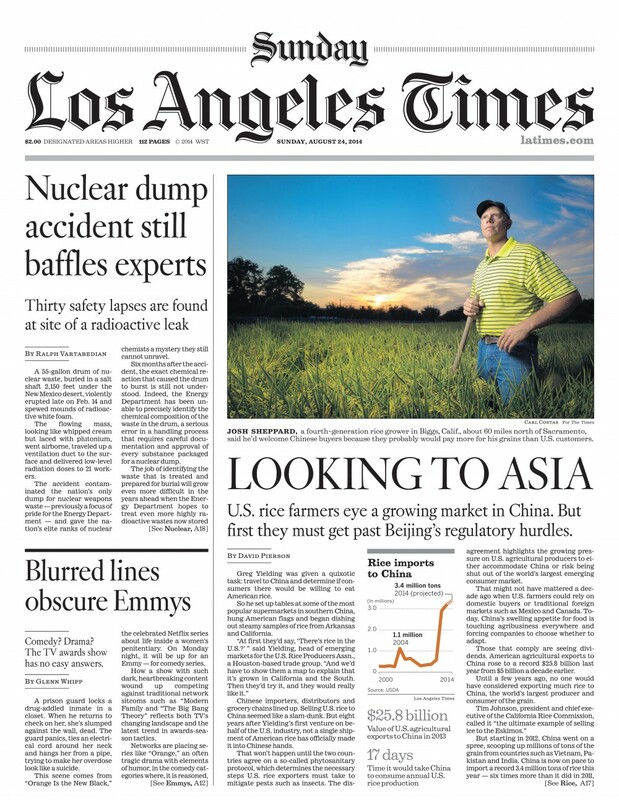 And while the newspaper industry may be shaken to its core — shooting for an institution like the LA Times still feels special. 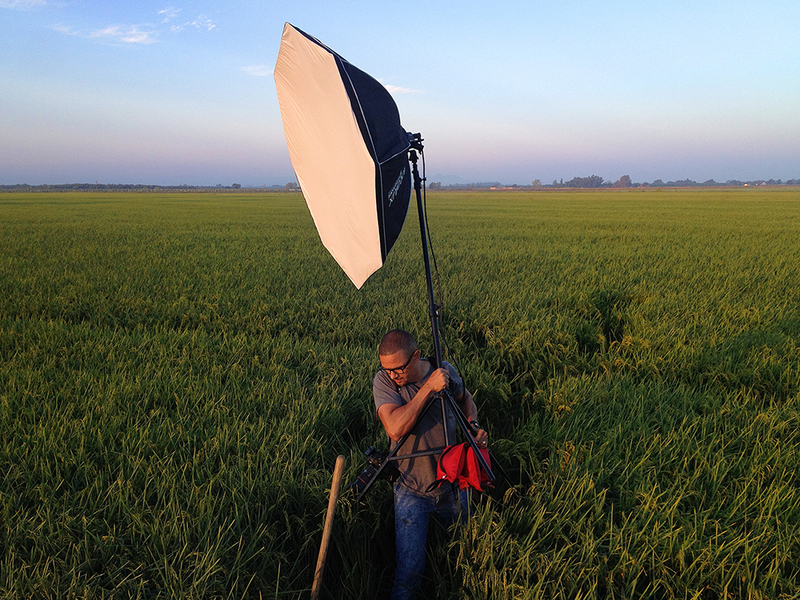 I set off at 4 a.m. recently to illustrate a story for The Times on the subject of American rice growers looking to export their yield to China. 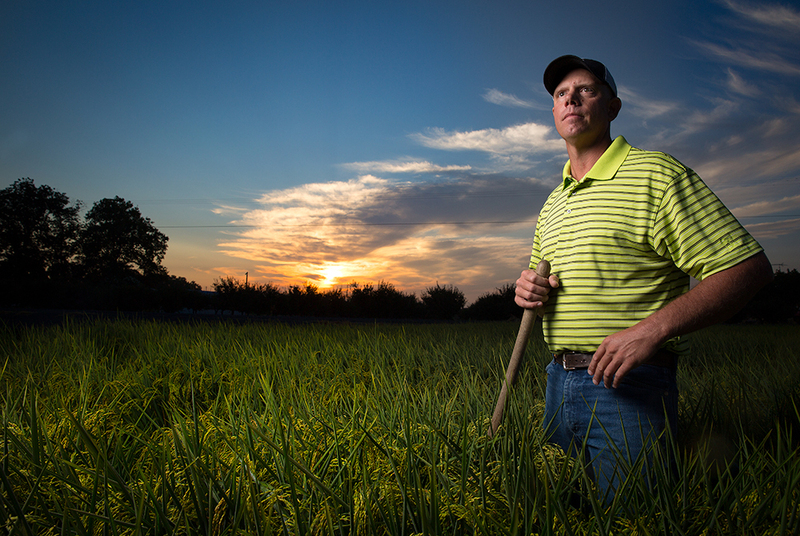 Just before dawn, I met fourth-generation rice grower Josh Sheppard on the edge of his family’s expansive farm in rural Northern California. You’d be hard pressed to know a man more easy going than Josh. I was clearly a welcome guest in his emerald green corner of the planet. He was amenable to just about any of my creative suggestions, including wading into fields where the grain was up to our waists and the water levels were a little better than boot-high. The air was crisp and early morning sun bathed the landscape in an almost made-to-order glow. As time sped by, I made a few frames at sunrise. 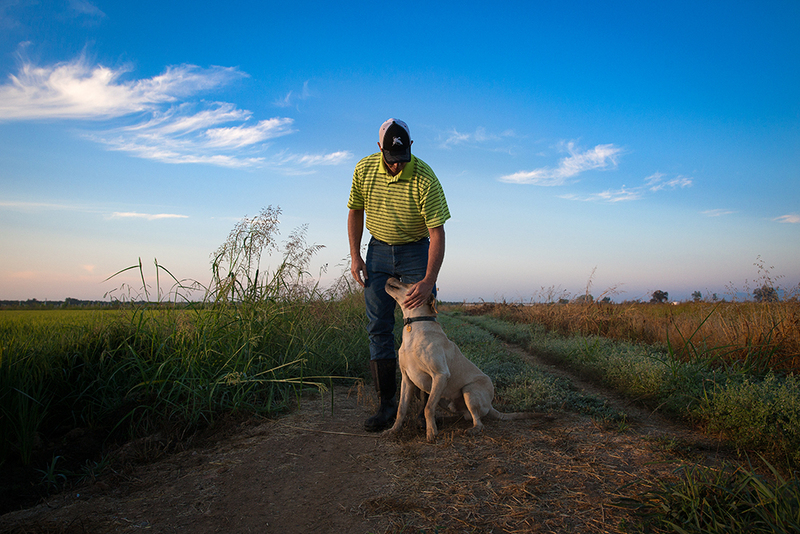 Then, accompanied by his highly energetic yet ever-obedient yellow lab, Tonka, Josh led me on a tour of his family’s many acres. I made a few more photos as we coursed dirt roads in his pick up and dawn’s warm hues feathered off. But in my mind I knew I already had what I came for. Ultimately, The Times editors agreed. The photo lead the front page of a recent Sunday edition of the venerable paper. Above the fold. When it published, I smiled and internally recounted my mantra; Commercial work feeds the family — editorial work feeds the soul.